The three largest pharmacies in the United States compete for business on the corner of Nashua and Mammoth Roads. What do these pharmacies know that we do not, and why all in the same part of town? The Crossroads in Londonderry NH Route 102 and Mammoth Road (Route 128); left is CVS, center is Rite Aid and right is Walgreens. Walgreens began in 1901 in Chicago, Illinois. Charles R. Walgreen had been working at different pharmacies in the Chicago area for years and was dissatisfied with the quality and prices of the products offered. He bought the dim and struggling drug store in which he worked for $6,000. Upon acquiring the property, he widened the aisles and installed new, brighter lights to change the atmosphere of the drug store. He also carried higher-quality, lower-priced items for his customers. He also did his best to greet each customer with a smile. In 1909, a second Walgreens store was opened. Seven years later, Walgreens incorporated nine more stores. In 1922, Walgreens invented the malt milkshake, causing an instant sensation. By 1926, Walgreens opened its 100th store. Walgreens entered the Puerto Rico market in 1960. They also began capping their medicines with child proof lids in 1968, long before it was required. By 1984 the 1,000th Walgreens was opened, and just ten years later, the 2,000th. A rapid growth began and between the years 2000 and 2007, another 4,000 stores opened, bringing the total to 6,000. 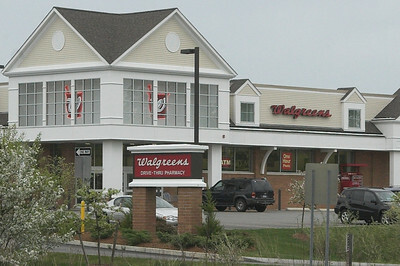 Walgreens can be found on the corner of Nashua Road and Mammoth Road in Londonderry, NH. Rite Aid was formed in 1962 under the name of Thrif D Discount Center. Beginning in Scranton, Pennsylvania, the store soon expanded to five stores in the Northeast. In 1968, the stores officially became Rite Aid. By 1972, Rite Aid stores could be found in 10 states, with 267 locations. By 1981, it became the third largest drug store chain. Celebrating its 25th anniversary in 1987, Rite Aid acquired 420 stores, surpassing the 2,000 mark. In 1995, Rite Aid bought Perry Drug and ended the year with nearly 3,000 stores. During 1996, they added another 1,000 stores on the West Coast when they acquired Thrifty PayLess Holdings, Inc. In 1999, Rite Aid formed a unique partnership with GNC. Rite Aid now has nearly 4,800 stores in 31 states and the District of Columbia. 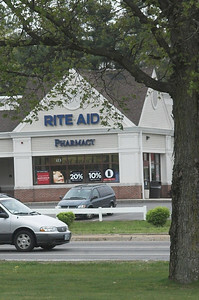 Rite Aid is located in Londonderry, NH. It can be found at the Crossroads Mall on the corner of Nashua Road and Mammoth Road. CVS began in Lowell Massachusetts in 1963. Founded by brothers Stanley and Sidney Goldstein and Ralph Hoagland, CVS was named for the partner’s beliefs. CVS stands for Customer Value Stores. By 1964, the company expanded to 17 stores, but was sold to Melville Corporation in 1969. By 1970 there were 100 stores in New England and the Northeast. In 1972, CVS added 84 stores with the purchase of Clinton Drug and Discount. The acquisition of the New Jersey chain Mack Drug added 36 more stores. By 1980, CVS operated 480 stores and eight years later, operated 750. In 1990, CVS added 500 more with the purchase of Peoples Drug. In 1997, CVS made the largest acquisition of retail pharmacies in the history of the US when they purchased Revco. This added 2,500 stores. CVS bought Arbor Drugs in Michigan, gaining another 200 stores, in 1998. In 2001, CVS introduced its ExtraCare Card, becoming the first American pharmacy to offer a loyalty card. CVS became the largest pharmacy retailer in America in 2005, operating more the 5,400 stores in 34 states and the District of Columbia. In 2009, they celebrated their 7,000th store opening. 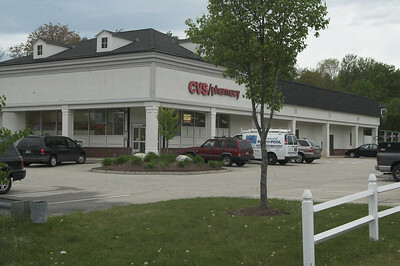 The CVS in Londonderry, NH can be found on the corner of Mammoth Road and Nashua Road.